Woo, congrats to Colorinda for having her FC make it to the game! That was fun. It’s been a wild ride these past two months. But after 31 grueling matches, we finally have a winner… The one and only…. Hope! 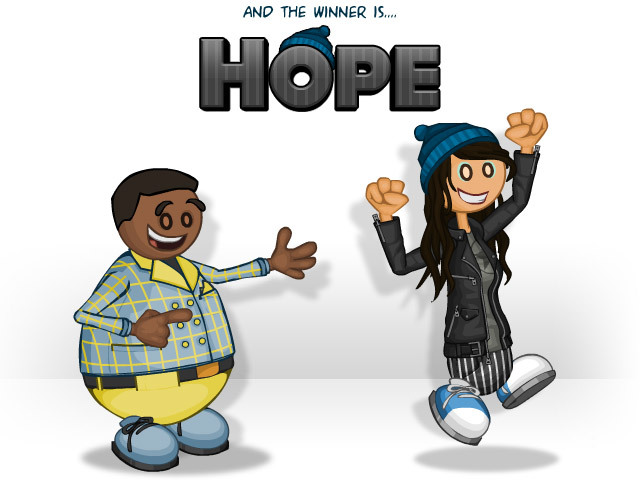 Lets give it up for Hope’s creator, our very own forum member, Colorinda! see more in magicmusic’s gallery. 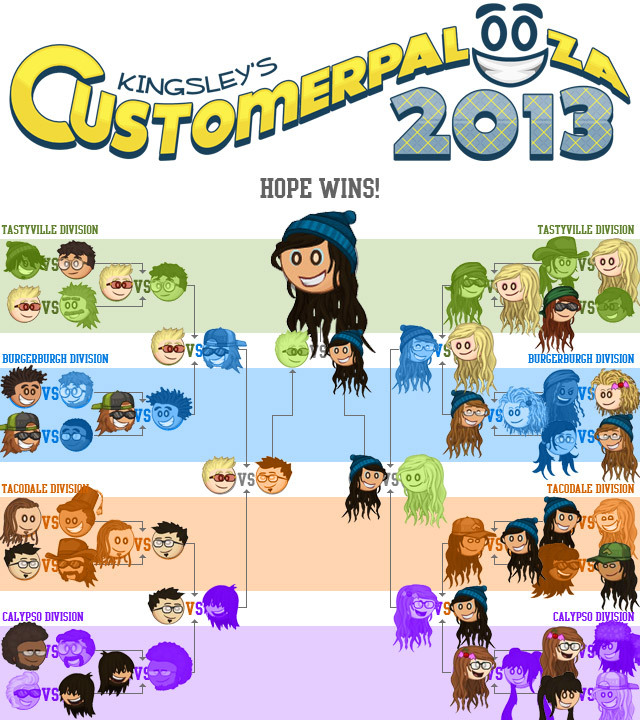 So let’s have a round of applause for Dice and the other 30 runner-ups from Kingsley’s Customerpalooza class of 2013! I would also like to thank the thousands of fans who submitted to this contest, you guys are awesome! You know it’s over right?? You can totally stop now. Camilla, Scotty, Ratchet and Steele were awesome, too bad they lost in the first round. I was upset Thea was put aside. I thought she would make it to the Semi-Finals. Telling the truth, but in Hope vs Kya, Kya deserved a few more votes. She's actually not bad. Good job Colorinda and Magicmusic. dice and hope desvered to finals!